EltaMD® is founded on the belief that the responsible and innovative application of medical expertise and science will change the way physician-dispensed skin care products treat people. 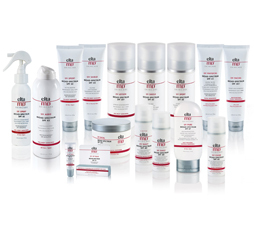 EltaMD products include sun care products, skin care products, and post-laser skin care systems. EltaMD sunscreens help prevent sunburn and decrease the risk of skin cancer and early skin aging caused by the sun, when used with other sun protection measures. EltaMD sunscreens are formulated with transparent zinc oxide and are noncomedogenic, sensitivity-free, fragrance-free and paraben-free. All EltaMD lotion and cream sunscreens and UV Aero spray sunscreen are now recommended by The Skin Cancer Foundation as effective broad-spectrum sunscreens. EltaMD skincare product line includes deep yet gentle cleansers, intense moisturizers and innovative formulas that repair the visible signs of aging.